Whether it’s a review on your local search listing, through a phone call or email, or on your social media page, your investigations firm is bound to face a complaint at some point. It may be regarding customer service, speed, or even a miscommunication about cost and payment. Complaints will happen, and how you respond, how quickly you get issues resolved, and whether or not your firm learns from complaints can have a lasting impact on your referral traffic and the satisfaction of future clients. Whether it’s a phone script, a form the client can fill out, or a step-by-step process, make sure your company has a procedure for dealing with complaints. You will need the details of their requested investigation, information about the client, and what they are dissatisfied with before moving forward. It’s also a good idea to designate who will handle complaints and how the follow up process will work. Outlining these details in a complaint procedure document or handbook will make you better prepared when issues do arise. Having complaint procedures is important, but no two complaints will be identical. If, for example, two complaints come in about surveillance for a workers' compensation case from similar companies, there will still be two individuals with different attitudes, approaches, and experiences to deal with. While one may be understanding and eager to move forward, the other may be upset and less willing to compromise when looking for a solution. Every complaint will come with an element of unpredictability, and using your complaint handbook in tandem with a little improvisation will help you get issues resolved more efficiently. Before you ask for more information, before you start running the client through your complaint resolution procedures, and before you suggest a solution, listen to what the person is saying. Allow the client to fully finish their thoughts and share what they are frustrated about before chiming in, and make sure you’re gaining an understanding of the problem. It’s important for the client to feel that they are being heard and that you have a full understanding of the problem before getting into what went wrong and how it can be fixed. In the customer’s eyes, you won’t be able to offer the best solution without knowing the full scope of the problem, so listen, don’t interrupt, and try to see the issue from the client’s perspective. While allowing the client to explain their issue is important, make sure that they don’t get off track. If the client starts moving into unrelated issues or begins suggesting where your firm went wrong, try to gently steer them toward discussing the root of the issue. When you receive a complaint, whether it’s regarding customer service, miscommunication, scope of the investigation, or payment issues, educate yourself on every aspect of the serve. Make your initial focus the complaint itself and check for errors, miscommunications, and other possible causes. If something is missing, make note, and talk to anyone in your company who has interacted with the client to find out where the error occurred. Check for errors made by your firm. Identify the root of the complaint, and also discover how the client was referred to your firm, how long they’ve been using your services, and any previous complaints they have filed. Talking to others that have interacted with the individual can also give you a better sense of how to move forward. As you search your files and confer with employees to find out where the misstep occurred, refresh yourself on the complaining client’s interactions with the company. If you educate yourself on the client’s history with your firm as well as a timeline for the investigation and any unexpected delays, you will be better prepared to revisit the complaint when you return to the client with a solution. 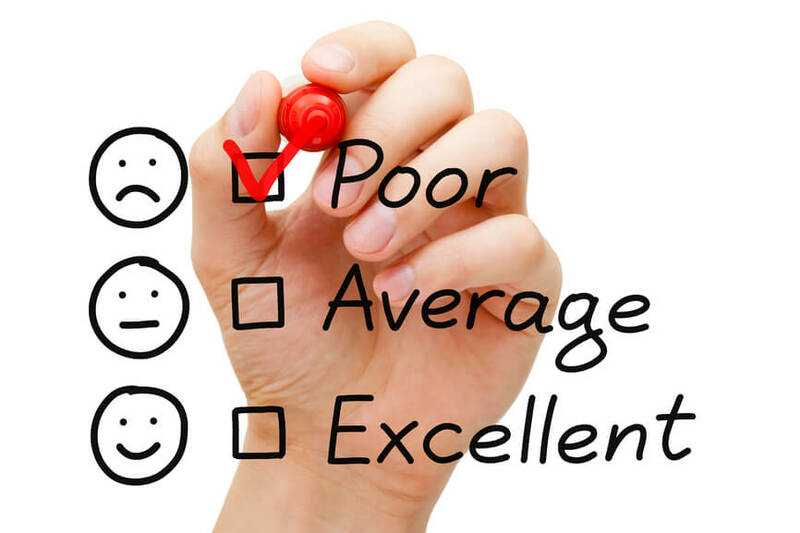 Complaints both major and minor can indicate that there are aspects of your business that need to be changed. As you look for errors and miscommunications, identify what steps or notes would have prevented the complaint. A recurring complaint is a definite indicator that it’s time to find a way to improve, so keep track of what complaints are coming in. Every complaint is an opportunity for improvement, but every process will have its issues. If you see a logical way to adapt your strategy, go for it! But don’t get caught up in constantly changing the way your firm works. No system is flawless, and sometimes things do fall through the cracks. Whether or not you are sorry or think you are right doesn’t matter, an apology can mean a lot to a client and help them get past the issue. Take a few moments to apologize, and if your firm was at fault, admit that you made a mistake. Complaints are a sensitive topic, and a client may be upset, offensive, threatening, or accusatory. It’s important to stay level-headed, be kind and cordial, and avoid being reactive. If you find yourself frustrated as you deal with an ongoing complaint, discuss it with someone who isn’t involved to help stay positive and gain another perspective. No company, system, or profession is immune to complaints, so try not to get frustrated or let down by these issues. Remind yourself that every complaint is an opportunity to learn and will help shape your business for the better. Hopefully these do’s and don’ts will help your investigations firm be proactive and professional when handling complaints. Do you have any tips for handling complaints? Share them in the comments below.